I try to install Nextcloud 15.0.7 DATA directory on a second hard disk. during the installation should i change the directory in: nextcloud.conf ? Do I need to edit the data directory in this file? 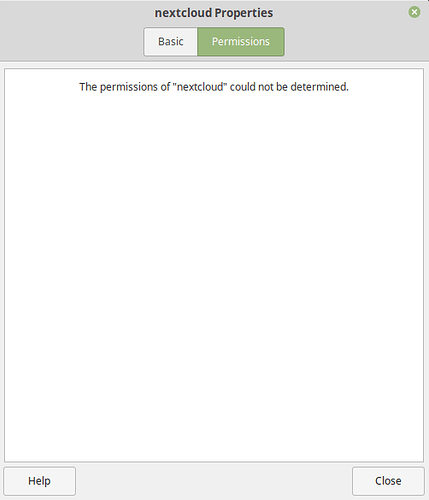 I tried but when I arrive to nextcloud web interface and tried to change also the original directory to my second hard drive (formated in EXFAT) it said that nextcloud can’t find or write. Maybe nextcloud DATA directory can’t be on an EXFAT drive? Shall I format it into 4ext? and wich line exactly need to be edited to change the DATA directory. before to write this post I tried several time and I read a lot of post, however it remain confusing to me but I guess change the directory before to finish the installation shall not be that difficult. thank to the people that will take time to read and help if they can. this is the path to the nextcloud program files (index.php and so forth). don’t edit. no need to. if you get an error check if the linux user of your web server (e.g. 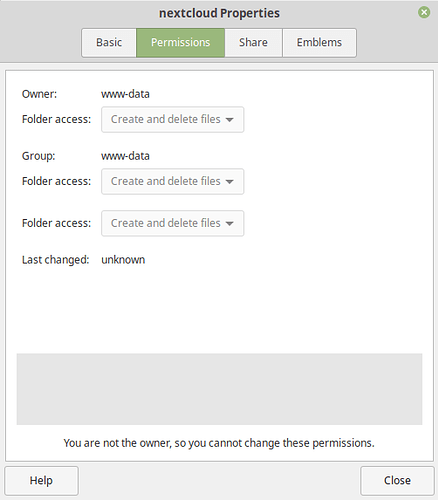 www-data) can access your data folder. if not use chown to change the ownership of the data folder. and it’s always wise to use linux fs (ext4) on linux systems. but it shouldn’t matter in your case. How can I do this? I am a bit new to linux environement. what’s the path to your data folder? I get permision denied on all the line. and now the file is empty is it normal? no. but it has nothing to do with the commands you entered now. 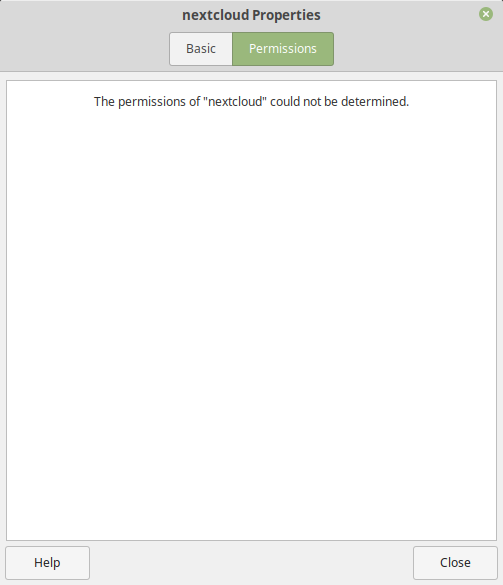 I also tried to use “SU” instead sudo but it keep saying I am not permitted. Alright I will try to resume clearly the situation. The line command you gave me been helpful. If I open the web Gui of nextcloud I can see that the directory path is there I want. what’s the output of mount ? linux folder names are case sensitive. these are two different folders. in the output of mount I could only find this nextcloud folder. Thank you again to take time to help. I tried many change and many thing, it was not working so it came back to this configuration. If from the desktop I do right click on my Hardisk named “Nextcloud” Linux said he can’t determinate the permission, but If I open Linux explorer and right click on the Hardisk it says that www-data is the owner. Could my Linux be broken? I decided to re start from Zero, clean install. and the problem is the same. i don’t know linux mint. so i can’t really help. my last guess: did you check the status of apparmor? sudo aa_status. if you use a server oriented linux it might be easier. I never heard before about apparmor. It’s sound like a guard to protect your system? 21 profiles are in enforce mode. 39 profiles are in complain mode. 12 processes have profiles defined. 10 processes are unconfined but have a profile defined. Do I have to disable it? it is supposed to prevent process to write where they shouldn’t. like malware is doing. Thank you, your help allow me to know more about linux. Even after totaly disable Apparmor the problem is the same so I think it could be something else. I will take time to try with another distribution of linux.